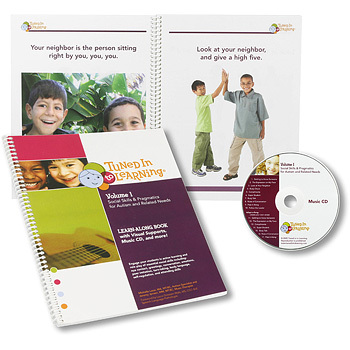 Liven up learning with these interactive songs designed to give students hands-on practice in common IEP goal areas. Different than typical recordings, these specialized songs include 10-30 seconds of response time after each instruction to accommodate for processing delays. Music is a powerful multi-dimensional approach that is highly accessible for individuals with physical and cognitive challenges. Because music impacts physiological functioning on a variety of levels, it is an effective way to stimulate movement and help students become more alert, engaged, and excited about learning. 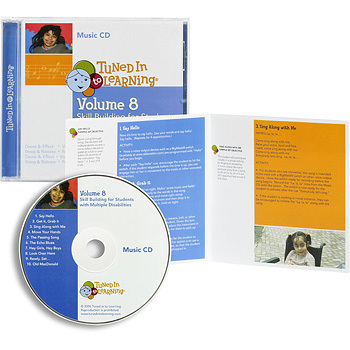 This volume of Tuned in to Learning was designed for students with orthopedic impairments such as cerebral palsy, Rett syndrome, Angelman syndrome, and related disorders. Note that in order for students to fully participate, selected songs are designed to be used in conjunction with basic rhythm instruments or a voice output device such as a BigMack® switch. 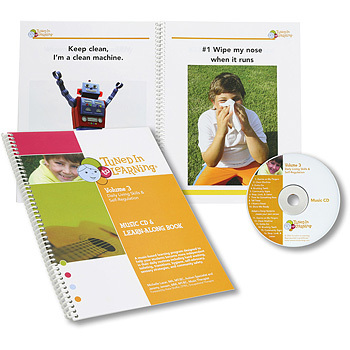 Skills addressed include cause & effect, visual tracking, augmentative communication, turn taking, grasp & release, functional motor skills, instrument play, and tactile exploration. 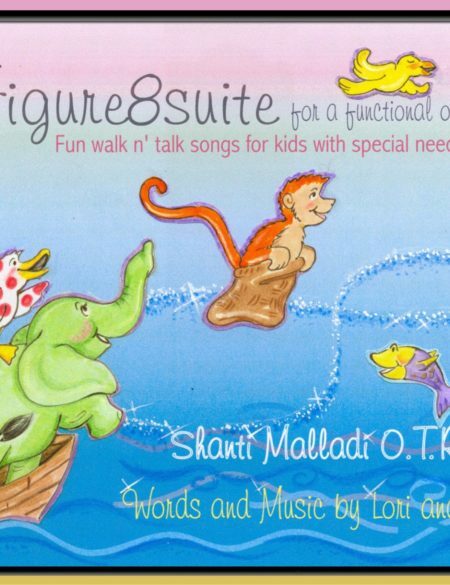 Full color insert with song lyrics, sample IEP objectives, instruction and activities for each song, and a research overview sectionIdeal for ages children & young adults; appropriate for both individual and group use. 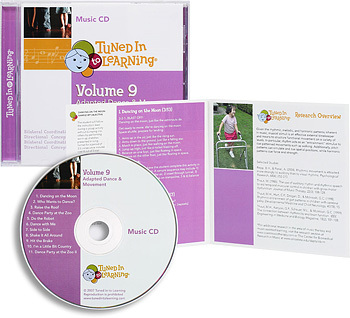 To purchase the download of Tuned Into Learning Vol 8: Skill Building for Students with Multiple Disabilities for $15.98 click on the ADD TO CART button. Following payment you will receive an email with a link to download the CD and insert.